A short video circulating on Twitter that purportedly shows private security guards from İstanbul Metropolitan Municipality (İBB) beating a 16-year old for selling sesame bagel, simit in Turkish, has prompted furious reaction from hundreds of social media users. 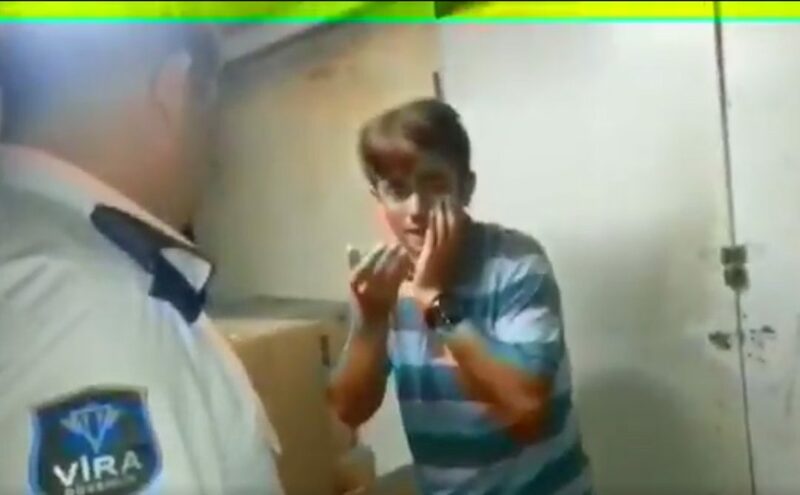 In a video footage, posted by Onursal Adıgüzel, a deputy from Republican People’s Party (CHP) on Aug.3, a young man is seen holding his bleeding nose while begging for mercy from two private guards. “Let me go for God’s sake. I swear that I did not know [that permission was needed to sell bagel]. Call me son of a b*tch, if I do it again,” the young man is heard saying in response to threats from the security guards. In another tweet, the deputy said that the incident happened on a ferry en route to Heybeliada, the second largest of the Prince Islands in the Sea of Marmara, near Istanbul. “Ali, who was beaten on ferry en route to Heybeliada from Burgazada, filed a criminal complaint against the assailants,” the deputy tweeted. Burgazada'dan Heybeliada'ya giden vapurda darp edilen Ali kardeşimiz darp raporu alarak savcılığa suç duyurusunda bulundu.